Pan Fry. Time: 5-6 mins. PAN FRY. MEDIUM HEAT. Remove all packaging. Pre-heat pan over a medium heat, add a tablespoon (15ml) of vegetable oil and heat. Place fillets into the pan skin side down. Cook for 5-6 minutes turning halfway through cooking. 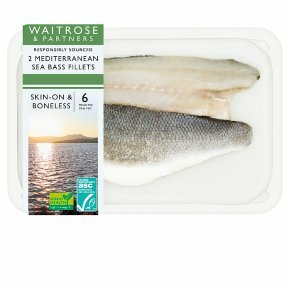 Remove sea bass to a warmed plate. Do not reheat once cooled.